This Friday afternoon video is a critique of the historical and modern day mental health systems, arguing that these systems are constructed to internalise sociohistorical problems via individualist methodologies that can be degrading of people’s lives. 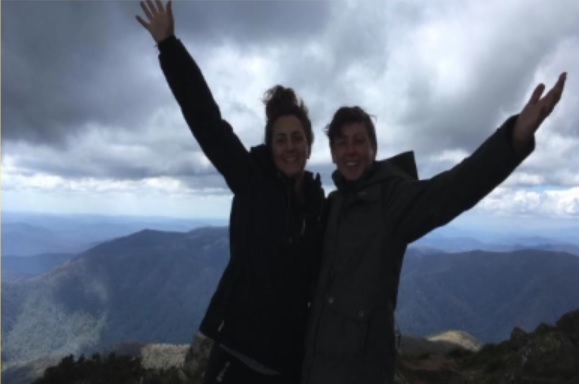 The video goes on to describe a project of collaboration between Nerida and two young people at the Australian organisation, headspace. Narrative therapy co-research methodologies are used to construct letters that transform individual therapy in to collective therapy. Nerida is a mental health professional, narrative therapist and clinical leader, working at headspace on Bunjalong country. She loves working with young people and is passionate about creating community spaces in which young people can mobilise, strengthen community ties and connect to what is important to them. Published on 2 March, 2018. Hi Nerida, thanks so much for sharing your interesting work with us. I appreciated the respectful and creative ways you have found to engage with young people who are going through difficulties. Thanks also to Keira and Bee, for allowing us to hear some of their experiences and ideas. An idea you brought to me was about offering articles of interest to the people we meet with. I once shared the Mary Heath video (from the Friday Afternoons) with a young woman who was questioning her sexuality, and she found the thoughts presented in the video very liberating. She then shared it with her friends. I haven’t pursued this concept of sharing Narrative resources since, but you have re-invigorated me! Thanks also for sharing your proposal and wedding photos. Congratulations on your marriage!! The plebiscite caused a lot of heart ache for some young and older people I have been meeting with, so your discussion of this resonated with me. For some people it caused a recurrence of what may be described as mental health struggles, which could have been individualised and pathologised. I agree with you that this is political. The context of the plebiscite and the other socially constructed difficulties people face needs to be visible in our work with people in the LGBTIQA community. Thanks for your contributions to this.